Ford is increasing production of two entirely new SUVs – the Lincoln Navigator and Ford Expedition – to meet surging customer demand. A new $25 million investment brings Ford’s total investment at Kentucky Truck Plant to $925 million and allows the company to increase manufacturing line speed; company has boosted production targets for full-size SUVs approximately 25 percent since fall. This additional investment and advanced manufacturing upgrades all help the company improve its operational fitness. 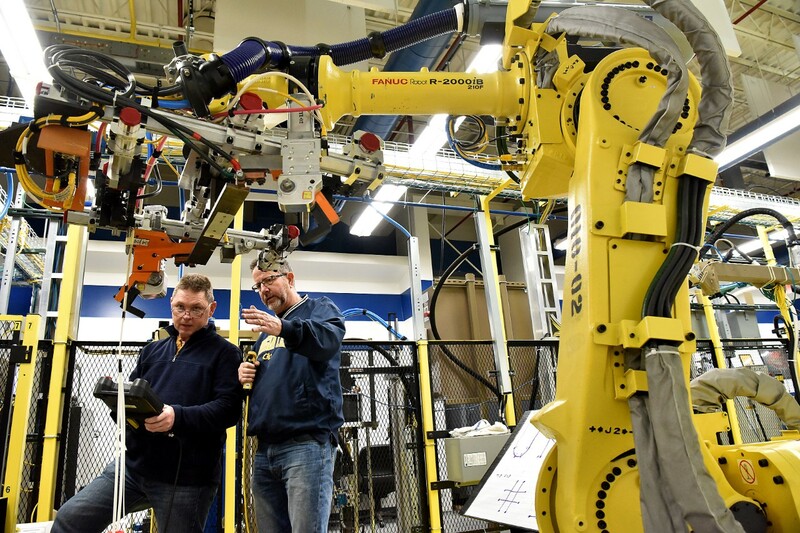 Upgrades include 400 new robots, enhanced data analytics to help the plant operate more efficiently and a new 3D printer that enables workers to make parts and tools more quickly and cheaper. Ford is increasing production of two popular full-size SUVs to meet surging demand for both all-new models. The company is using advanced manufacturing technologies and an upskilled workforce to increase line speed at its Kentucky Truck Plant to build even more Lincoln Navigator and Ford Expedition SUVs, boosting production targets approximately 25 percent since last fall when the SUVs hit the market. 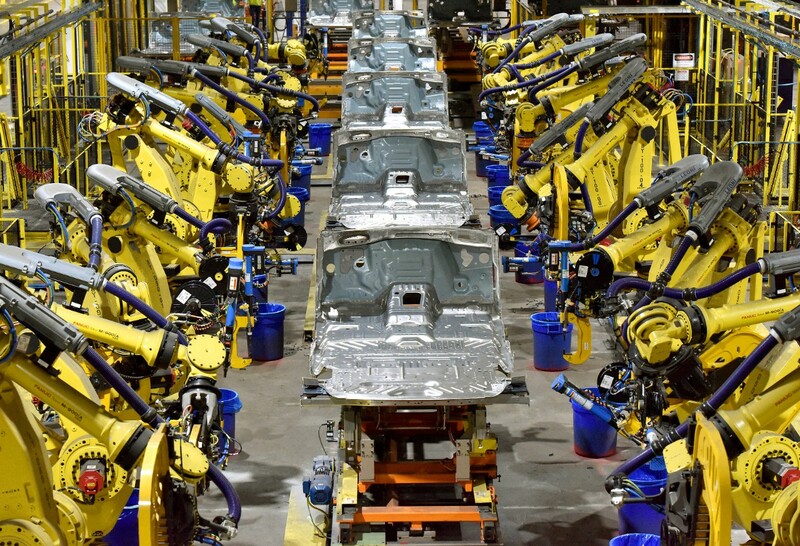 A new $25 million investment for additional manufacturing enhancements brings Ford’s total investment at Kentucky Truck Plant to $925 million and allows the company to increase manufacturing line speed. This investment and advanced manufacturing upgrades are examples of the company’s quest to improve its operational fitness. Upgrades include 400 new robots, a new 3D printer that enables workers to make parts and tools more quickly and cheaper as well as enhanced data analytics to keep the assembly line moving as efficiently as possible. Lincoln dealers simply can’t keep the entirely new Navigator on dealer lots; the luxury SUVs are spending an average of just seven days at the dealership before they are sold. Customers are trading in Land Rover and Mercedes vehicles in exchange for a Navigator, and nearly 85 percent of all Navigator buyers are choosing high-end Black Label and Reserve models. Customer demand for the highly-equipped Black Label and Reserve series contributed to an average transaction price increase of more than $21,000 in January versus a year ago. Navigator retail sales were up triple digits in every region of the country last month. Navigator sales more than doubled last month, thanks to growth in key markets including Florida, Texas and California, a competitive conquest rate of 40 percent and new interest from younger consumers. Expedition also is off to a strong start, with the top-of-the-line Platinum trim models representing 29 percent of sales – pushing transaction price increases up $7,800 in January. Expedition retail sales were up nearly 57 percent last month and vehicles are spending just seven days on dealer lots. 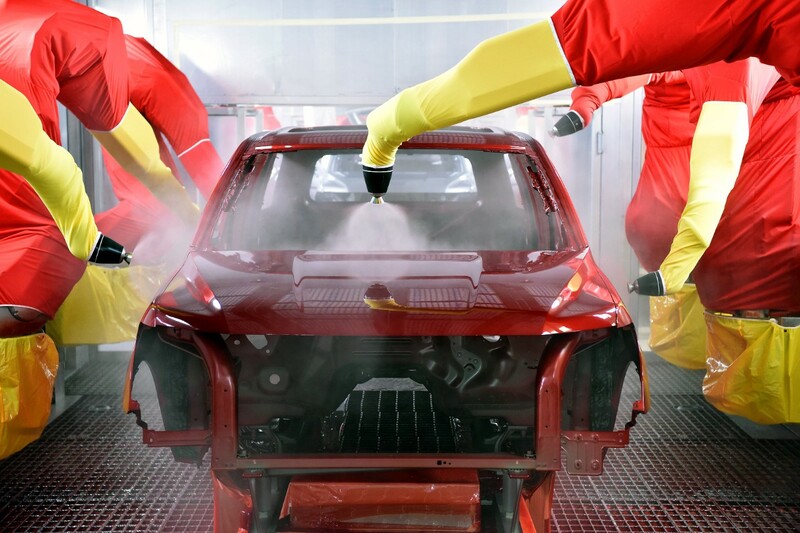 To ensure customers can get vehicles as quickly as possible, Kentucky Truck Plant assembly line workers are working overtime and voluntary weekend shifts. 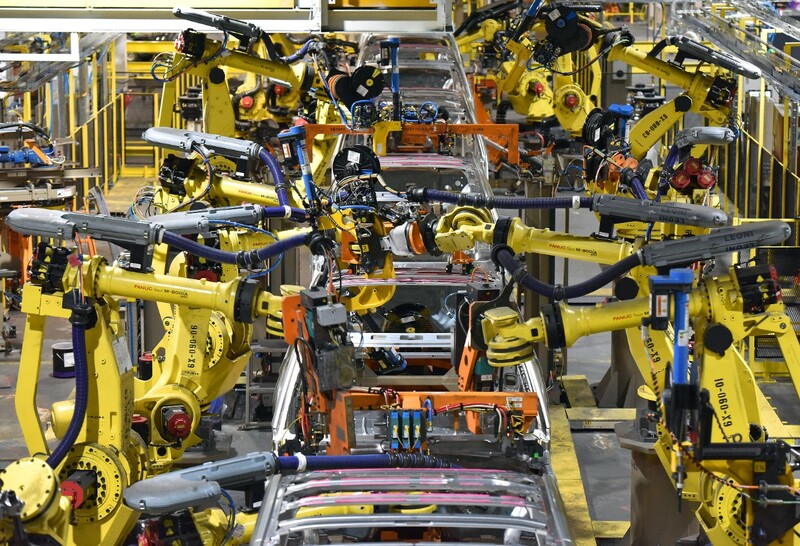 Kentucky Truck Plant’s advanced manufacturing technologies and tools are helping Ford upskill its workforce and deliver better quality vehicles to customers more quickly. More than 400 new robots – including collaborative robots – were added to the facility during last year’s transformation, mainly in the body shop. The robots enable the plant to increase the line speed while keeping employees safe from repetitive-motion injuries. The plant also added a robot lab, where employees can test out software tweaks or trouble shoot issues away from the factory floor – in both instances, saving valuable time. Data analytics have helped the plant identify and address thousands of concerns in near-real time. A data analytics hub includes seven big-screen TVs that provide minute-by-minute updates, letting plant officials know whether production is meeting hourly targets or whether there is a concern on the line that should be immediately addressed. Data updates also allow workers to be proactive, alerting them to instances of pending parts shortages so they can arrange for a new batch to be delivered to a work station before parts completely run out. An enormous spare parts “vending machine” allows workers to more quickly locate a necessary part while automatically keeping inventory at optimal levels. The plant recently installed a 3D printer onsite to print individual parts for tools necessary to keep the plant running. Manufacturing a prototype part using traditional methods can take eight to 16 weeks at a cost of more than $250,000 in tooling alone. Producing the same part using 3D printing can take days – and sometimes just hours – and can be done for a few hundred to a few thousand dollars. Kentucky Truck Plant opened in 1969. It currently employs more than 8,400 people, including approximately 8,100 hourly employees. The plant builds the Ford Expedition, Lincoln Navigator and Ford Super Duty.